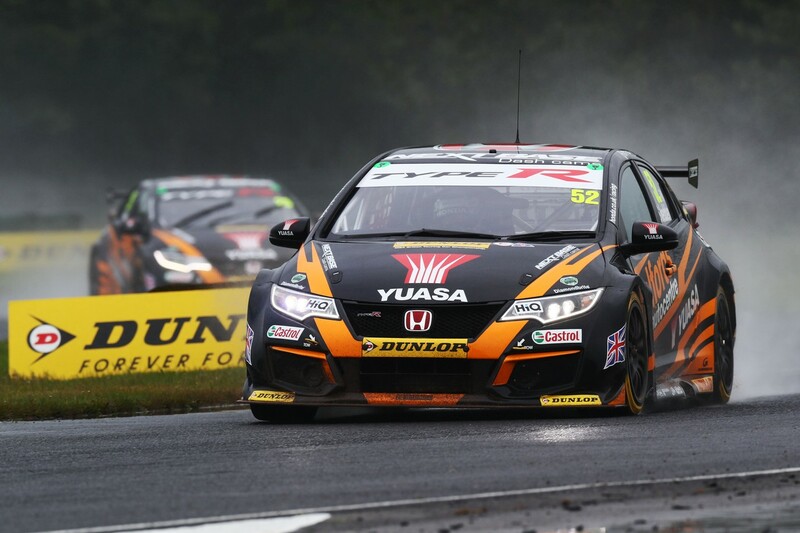 Halfords Yuasa Racing leave Croft Circuit this weekend heading into the mid-season break in an enviable position, with Gordon Shedden maintaining his lead in the Drivers’ Championship and team-mate Matt Neal salvaging fifth place in the final race of the day after a challenging weekend. The weekend began with a dramatic rain-interrupted qualifying on Saturday afternoon which was suspended after just a few minutes when oil on the wet surface at Barcroft Corner caused 11 cars to tumble off the track. The session stopped, with times taken at that point to form Sunday’s race one grid. Shedden and Neal had completed one flying lap apiece and lined up fourth and eighth respectively for Round 13 of the Dunlop MSA British Touring Car Championship. The third race of the day was to be the highlight of Neal’s weekend, scything his way from 18th to an impressive fifth in a Honda Civic Type R he described as ‘awesome’. Flash continued to score, with a ninth place cementing his mid-season standings lead.